What happens after the 0-nanometer design infrastructure? What happens at 3nm? Things should get interesting in a couple years. What does this get us? Better battery life? Like Intel's 14nm-> 14nm+ ->14nm++. Tweaking node and squeeze every bit of performance out of it. 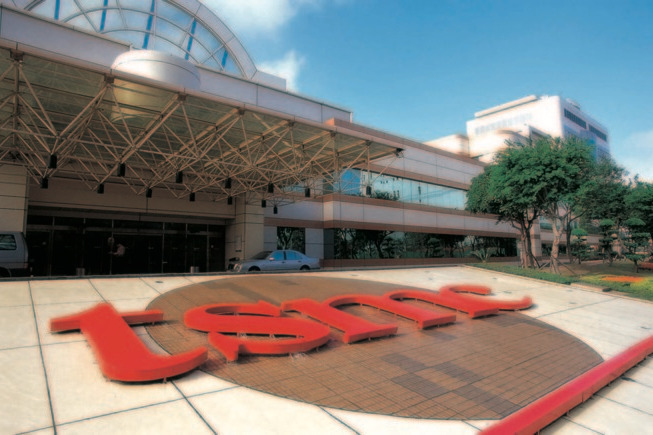 TSMC, next 5nm in 2020 or 2021 ? But, like Intel's upcoming Lakefield approach, attention will move to 3D packing to integrate more on SOC than just keep reducing node size. Physics have it's limits. If the math holds, as you approach zero: infinity -- Or, in this case, infinite power. ... "One chip to rule them all"
To put it as plainly, smaller processes have a lower capacitance which allows transistors to turn on-and-off more quickly while using less energy. There are other advantages, as well as drawbacks, but the pros far outweighs the cons for this application. They'd be running anti-matter computers of course! The real question is when will this plateau? How close to 1nm can we get? What will probably happen is rather than continuening to shrink the die size allle will hit the plateau and start packing more into the SoC such as the modem and the gpu and so on. EUV is a pretty big deal. Its stated gains are better than some whole fab generations. This is fine! Don't worry about that. The computer that invents the design and implements the manufacturing processes will also let us know what to do and how to feel about the upgrade experience. There are some strange quarks about physics, and people won't really entirely understand exactly how it all works at that point. The machines will tell us how they operate and we will have to believe them. So there won't be any drastic changes for the end user looking to upgrade their equipment. "Samsung is optimistic that EUV double patterning (NA=0.25, 0.32, then 0.6) will take patterning to several nanometers in 2014. His presentation of the fundamental laws of physics (based on Boltzmann distribution and Heisenberg's uncertainty principle) predicts a limit of scaling around 1.2 nm." Just now they are at 7nm, then 5nm (2020-2021), then 3nm (2022-2023). That's the theoretical limit and needed special cooling. Just now performance-per-watt is around 60GFLOP/Watt on 10nm. This allows for 10TFLOPs in average desktops. There's not much practical or commercial need to go beyond 20-30TFLOPs in a personal computer so companies will start to rely more on cloud services over hardware. For the next 5-6 years they should be able to keep pushing hardware advances as they are now. Then it will level out at typical upgrade cycles and computing hardware will become like other appliances. Computing hardware won't change much at all in design, functionality or performance like refrigerators and televisions but people will keep buying it, just at a slower rate. To answer the question of “how low can we go,” the practical answer is “not very much further,” I believe. There’s always new materials that may help sustain us down to perhaps 3nm, but before we hit that wall I believe the industry will move “sideways” into some level of quantum computing. It is really a new node with the use of extreme UV imaging.